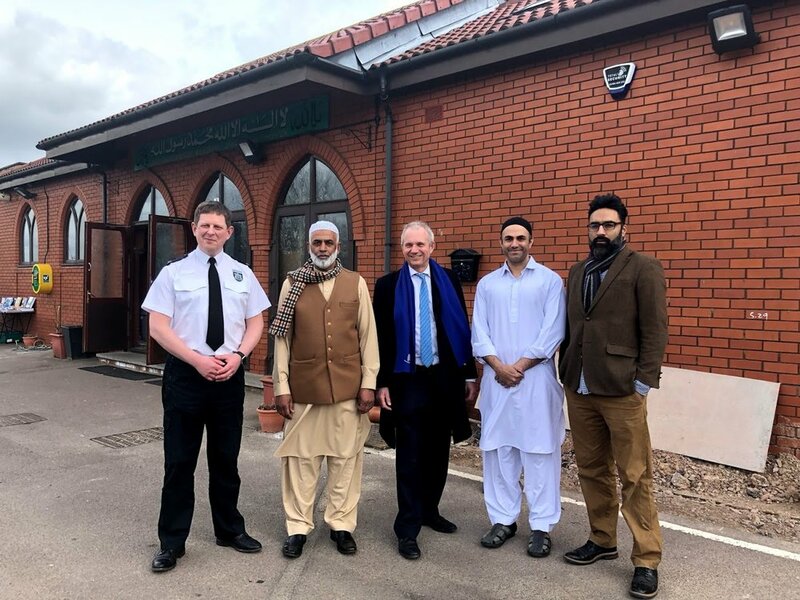 David recently visited Aylesbury Mosque on Friday 23 March, with Supt Tim Metcalfe of Aylesbury Police, to express support for the Muslim community in light of recent national events involving the so called "Punish a Muslim" day. 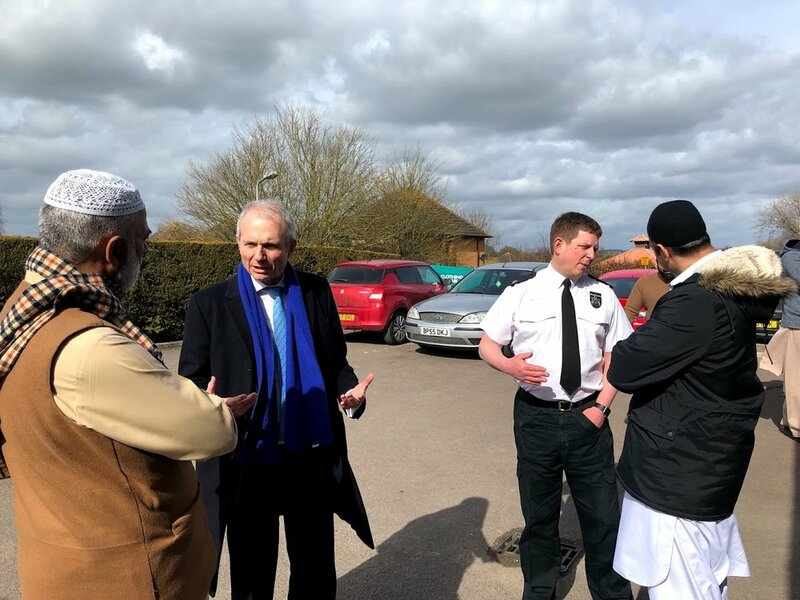 “I have been made aware of a letter that has been seen by a number of individuals in the local area calling for an attack on Muslims on 3 April. This letter was posted to several locations around the country as well as to MPs in Parliament. “I am disgusted by this letter and the vile and barbaric sentiments that it represents. It has been publicly denounced by the Government and by the opposition parties in Parliament and I am sure that the overwhelming majority of people in Aylesbury and around the country will react to it with a mixture of revulsion and contempt. “This kind of hatred has no place in modern society and I know that both local and national police forces are taking the matter extremely seriously. The national investigation that is being run by the North East Counter Terrorism Unit and our local police commander for Aylesbury Vale, Tim Metcalfe, has asked that anyone who has received these letters contact their local police force on 101. He has also appealed to anyone with any information about the individual, or individuals, responsible to call police in confidence on 0800 789 321. “I will continue to support Aylesbury’s Muslim community, which has and continues to contribute so much to our local area. As ever, if any of my constituents have concerns about this or any other matter, I am always happy for them to get in touch"